How would it be if you could simplify the in-house lawyers process with the benefit of our expertise... to free up your time for other essential activities of your role? An appealing thought? Then this is the book for you! 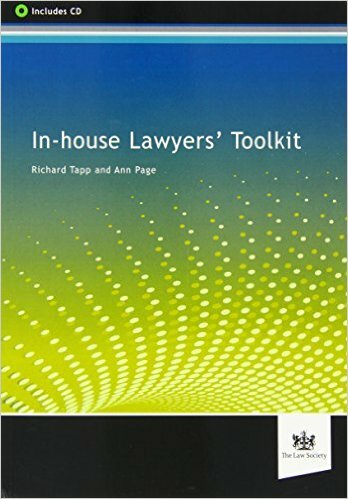 Richard (Tapp) and I developed this unique toolkit to provide an accessible, relevant resource for both new and experienced in-house practitioners to work from, and adapt. We also wanted our book to act as a catalyst for their thinking to provide timely, high quality and cost-effective advice to their organisation. In particular, it will lead the practitioner through the processes of managing an in-house function. To order your copy, use the purchase now button below to go to the Law Society Bookshop. SPECIAL OFFER: I have negotiated a 10% discount for my clients. Simply use code IHT14 when purchasing.